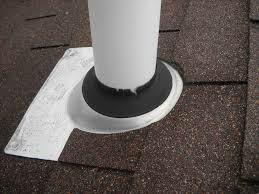 Has a storm left your Roof vulnerable to water? 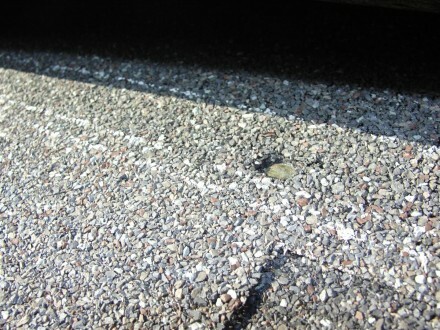 We know the importance of taking care of repairs quickly to access the damage and make necessary repairs. 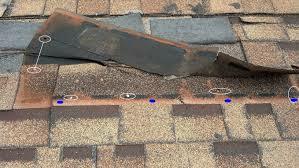 Why are my roof shingles blowing off? 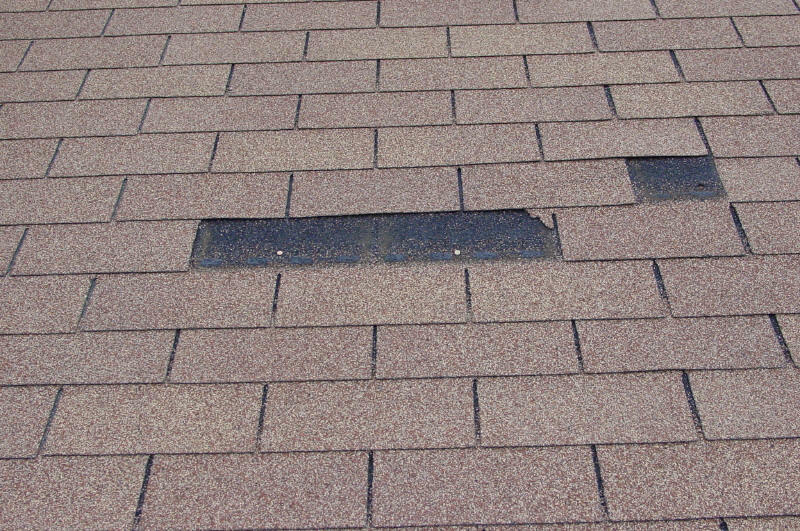 The most common cause of roof shingle blow offs, is improper nailing, usually caused by nailing the shingle to high as seen in the picture. The nails belong where the blue colored circles are. 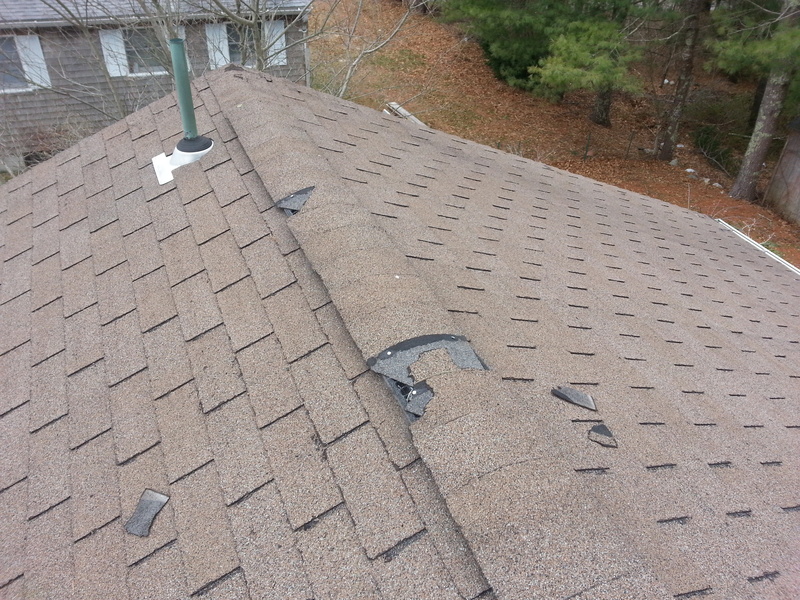 The next most common cause of roof shingle blow offs, is overdriven nails, which occurs when the pressure is set to high for the nail guns. Copyright © 2014 KM Contracting, Inc.